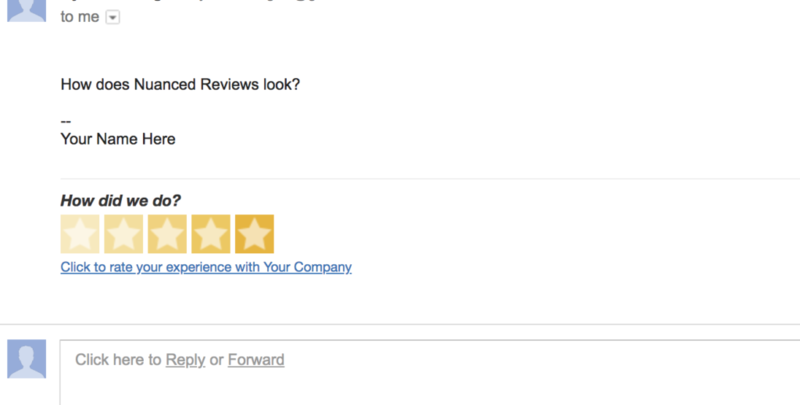 Navigate to your review widgets from Dashboards > Widgets. 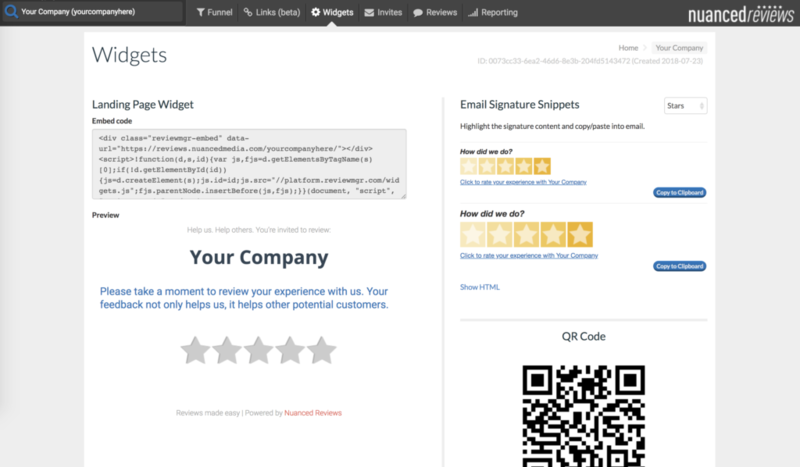 You will see the email signature widgets on the right side of the page. 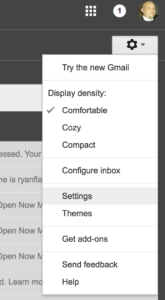 In your Gmail account, navigate to the great dropdown on the upper right side of the page. Select Settings. Under the General tab navigate to the Signature area. 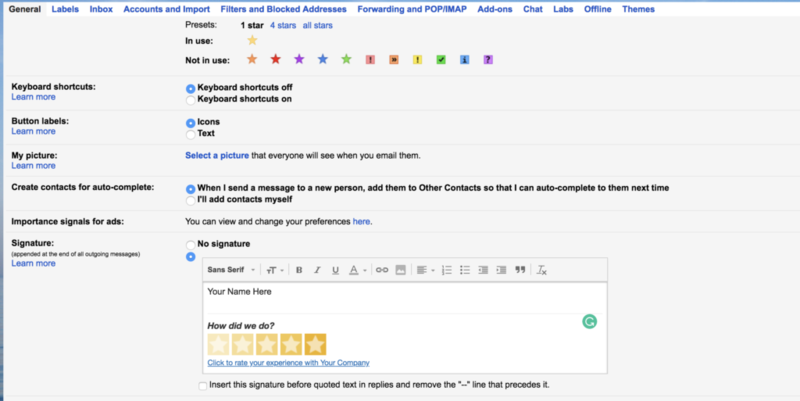 Send an email to your self and make sure it looks the way you want it to.